Apparently, I’m not the only one who bought a book by Nora Ephron after she passed away in June. Amazon.com reports that three of her books have risen dramatically on the bookseller’s list of top books based on number of sales. Specifically, Ephron’s Heartburn jumped to a ranking of #208 (from #103,090), I Remember Nothing jumped to #79 (from #33,547), and I Feel Bad About My Neck has jumped to #90 (from #12,083). I’d read Heartburn when it came out, so I picked I Feel Bad About My Neck. Suffice it to say (since this is a fashion blog, not a book blog), I enjoyed the book thoroughly. It is very diverting and provided lots and lots of food for middle-aged thought. 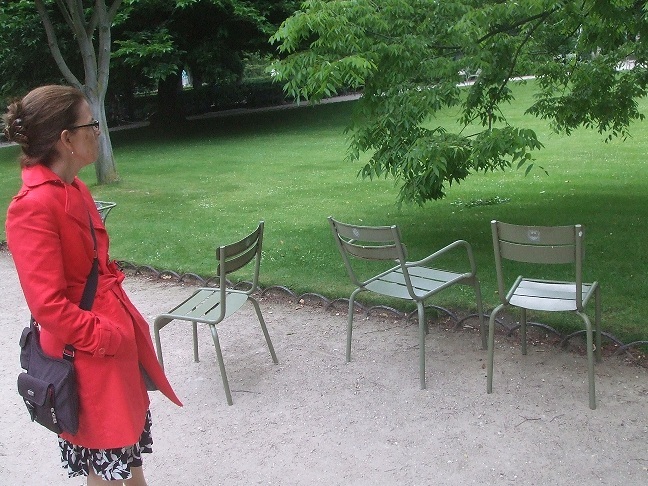 The reason I mention I Feel Bad is that in it, Nora writes that her mother advised her to “never buy a red coat.” Obviously, I didn’t receive the same motherly advice because I recently bought a red trench (above), my fourth red coat in 10 years! Why red? That’s easy. Red is in my color season. And, now that I’m firmly in my 50s, I’m all about wearing colors that brighten my middle-age complexion. 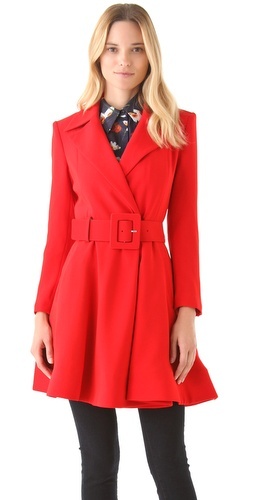 If the color red flatters your complexion, you’ll be happy to know that there are lots of red coats on the web this fall. Click ‘read more’ below to view a sample of what’s available. And, if you’re in the mood, share your favorite Nora Ephron tidbit—what Nora wisdom has inspired you--in the comment box at the end of the post. Fashion Over 50: What’s the point? Off the Runway: Fall Fashions on "Real Women"
Scarf Season is Coming: Are You Ready to Wrap?